‘Presently pursuing her Post Doctoral on Cyber Crime, Cyber Security and Cyber Forensic from IIT, Bombay. She did her PhD from National Law School of India, Bangalore and completed LL.M with specialization in International Law, (1st rank and bagged all gold medals) from Department of Law, University of Mysore. She has also completed M.A in Sociology and has 4 diplomas to her credit. She is working with CMR group of Institution from the past 6 years. She is working as the editor of various journals. She has attended 100 conferences at the International, National and state level and has presented 55 papers. 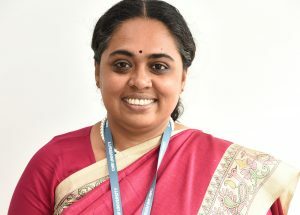 She has published book titled Disaster Management: Approaches during turbulent times and has published over 100 articles on various topics such as Euthanasia, Women empowerment, Human Trafficking, Cyber Crimes and Cyber Forensics.Her areas of interest include: Cyber Forensics, Environmental law and disaster management.